Carry Shize’s pacifying energies everywhere you go with this exclusive, tastefully designed Buddha pendant. Wear him close to your heart and reap the benefits of his purifying and healing energies. Carry Shize’s blessings everywhere you go with this exclusive, beautifully designed pendant of Shize, mounted on a delicate oval frame. Made of fine stainless steel, this pendant combines a high-end look with lasting durability and everyday wearability. 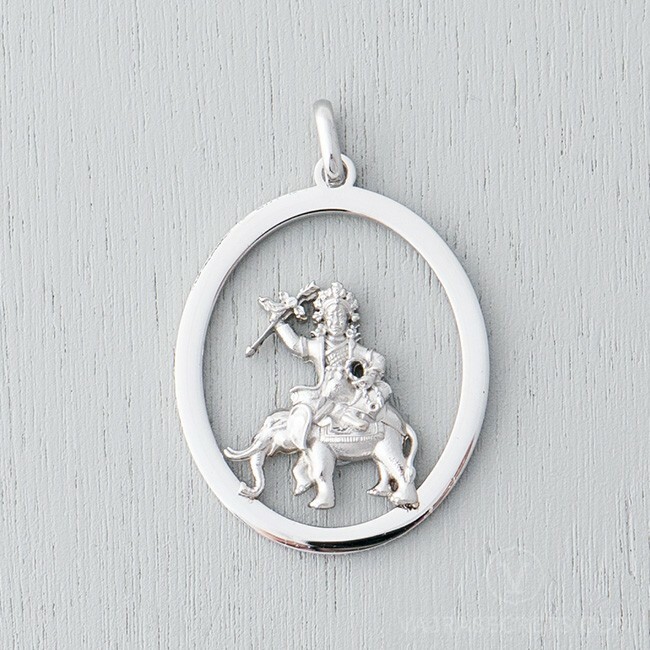 Also known as Vairochana Shugden, Shize is revered by many for his ability to purify one’s negative karma, pacify natural disasters and calamities, and is especially efficacious for overcoming illness and disease.